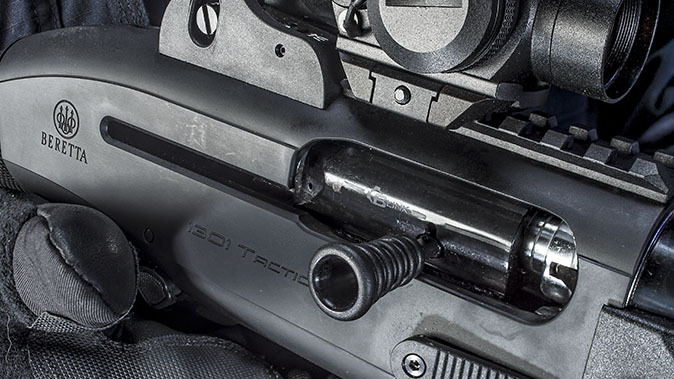 The tactical shotgun has reached a new zenith in the Beretta 1301 Tactical, especially when combined with upgrades from Mesa Tactical and Nordic Components. The Nordic Components MXT magazine extension kit comes with a short rail for accessories. Mesa Tactical’s SureShell sidesaddles make it easy to carry more ammunition on the side of your gun. 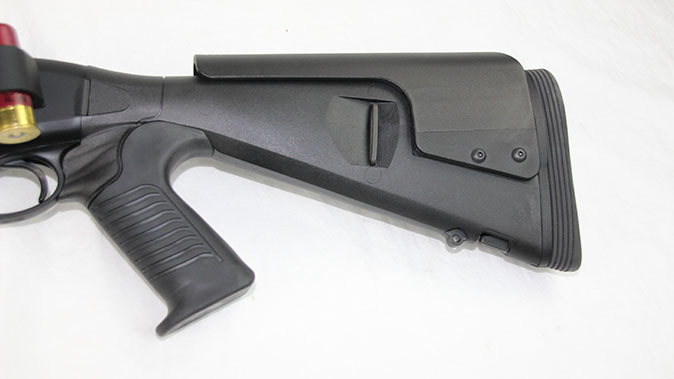 The Urbino Pistol Grip Stock from Mesa Tactical has a thick rubber buttpad, a short length of pull and an adjustable cheek riser. The advantages of being able to fire multiple projectiles simultaneously have been well established. In terms of firearms, even the earliest examples included cannons and blunderbusses loaded with multiple projectiles to beat back attacking soldiers, defend against highwaymen and board enemy ships. And different objectives could be achieved by varying the size of the projectiles. Very small and lightweight projectiles proved ideal for hunting birds while heavy projectiles were more effective for self-defense. 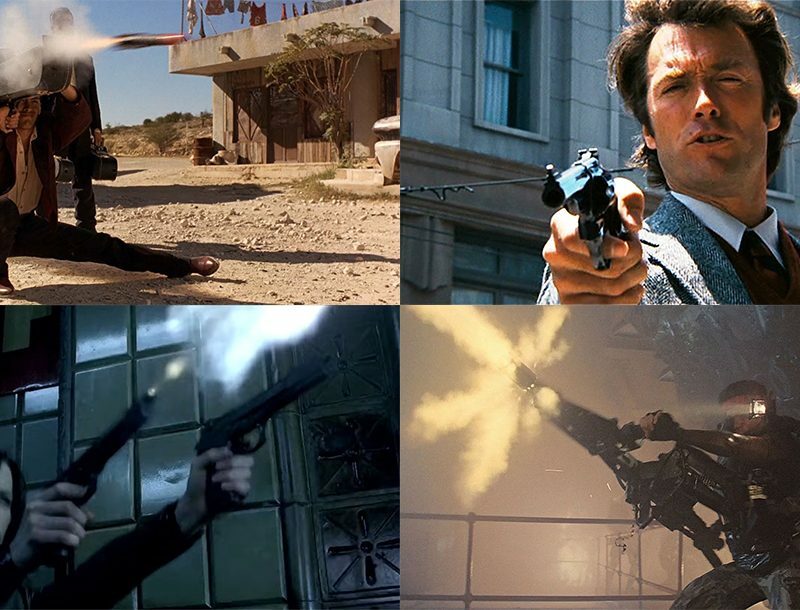 Eventually, the projectiles, or shot, became standardized. We now have a plethora of shot options and loads for our modern shotguns. While many people think of a shotgun as more of a hunting or home-defense weapon than a tactical firearm, this is a mistake. The tactical shotgun can trace its roots back to World War I, when 12 gauges were equipped with bayonets and heat shields to clear trenches. 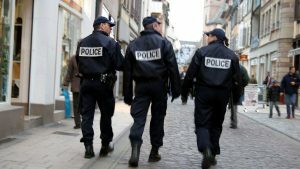 Of course, historically, the shotgun has also been a law enforcement staple and has seen continuous service in the U.S. military. 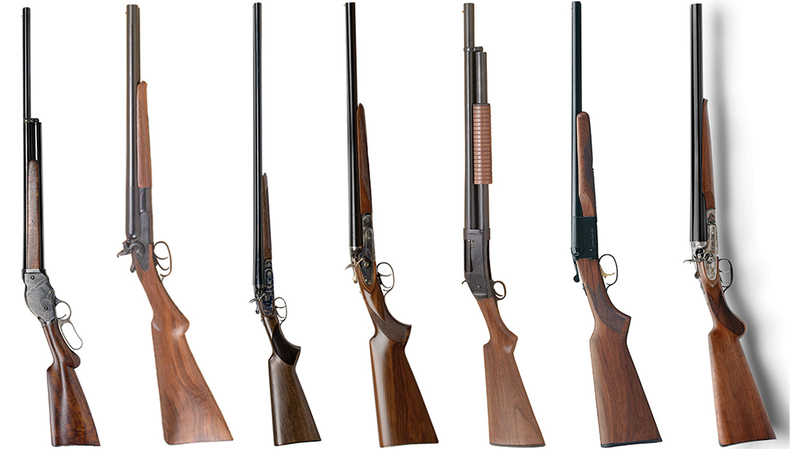 However, the preference has always been for pump-action shotguns, not semi-autos. When it comes to semi-automatic shotguns, the weapon’s strength has also been its weakness. It is not always easy to keep a semi-auto shotgun working reliably with different loads in extreme conditions. 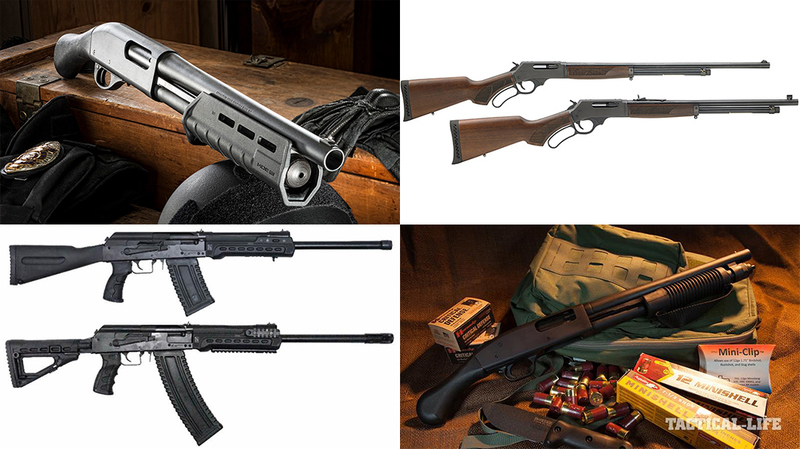 Over the years, manufacturers have sought different mechanisms to make the semi-automatic shotgun flawlessly reliable with any type of load. Leave it to the oldest—and still family owned—continuously operating firearms manufacturer in the world to solve the problem once and for all. When Beretta, which is over 500 years old, introduced the 1301 Tactical, I was invited to a multi-day “Tactical Summit” to put the gun through its paces. The Beretta 1301 Tactical is a gas-operated, semi-automatic 12 gauge chambered for 2¾- and 3-inch shells. It has a tubular magazine with a 5+1 capacity using 2¾-inch shells (or 4+1 with 3-inch shells). The cold-hammer-forged, 18.5-inch barrel has a fixed cylinder bore, or what Beretta calls its “Optima-Bore,” and is rated for firing standard and steel ammunition. 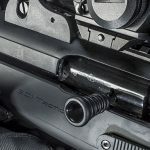 At the heart of the Beretta 1301 Tactical is a distinct gas system that is designed to function with different loads and cycle faster than any other shotgun. Indeed, Beretta promises that the Blink gas system will cycle and fire 36-percent faster than any other semi-auto shotgun on the market. 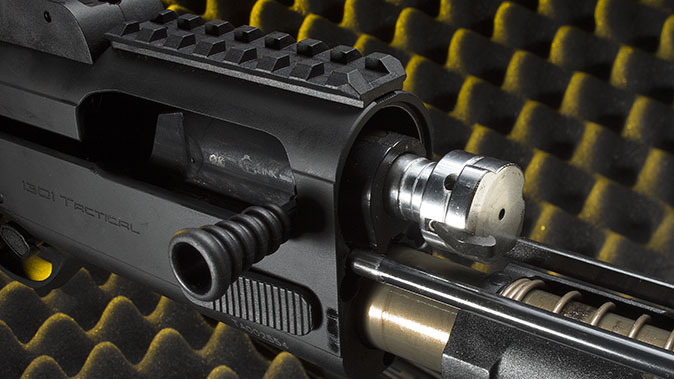 One of the main challenges to semi-auto shotgun reliability has always been carbon fouling. 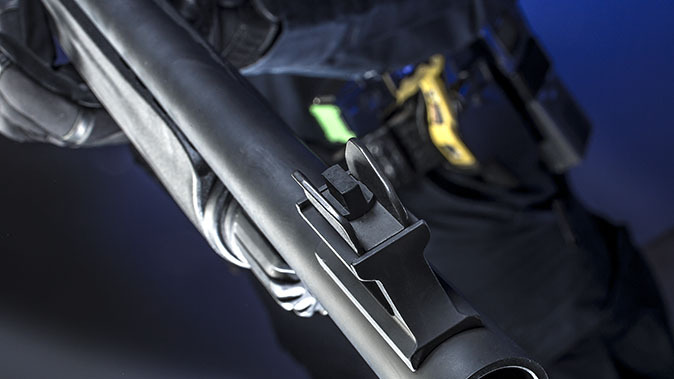 The 1301 Tactical uses a cross-tube gas piston with an elastic scraper that works like a gasket. This means the gas system cleans itself after every shot for continued smooth operation. 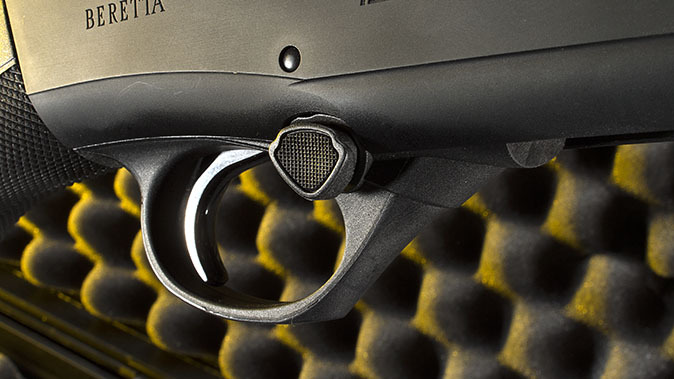 The controls on the Beretta 1301 Tactical are very well designed and thought out. 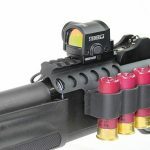 The push-button safety located at the front of the large, polymer triggerguard is oversized and features a distinct red circle to indicate that the shotgun is in the “fire” condition. The safety will only function when the internal hammer is in the cocked position, and it’s reversible for left-handed shooters, although the manual does not explain how to do this. Fortunately, there is the Internet. 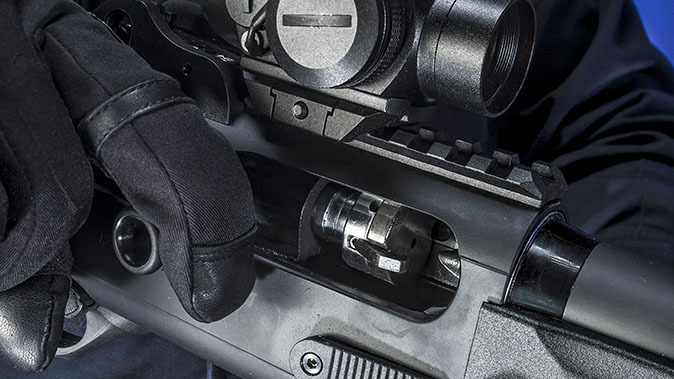 The right-side charging handle is also oversized and easy to operate with gloves. 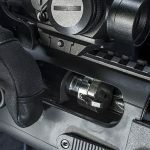 To lock the charging handle to the rear for loading, the carrier-stop push button, located at the bottom rear of the cartridge loading gate, must be fully depressed. The right-side bolt release is also oversized and textured for easy operation. 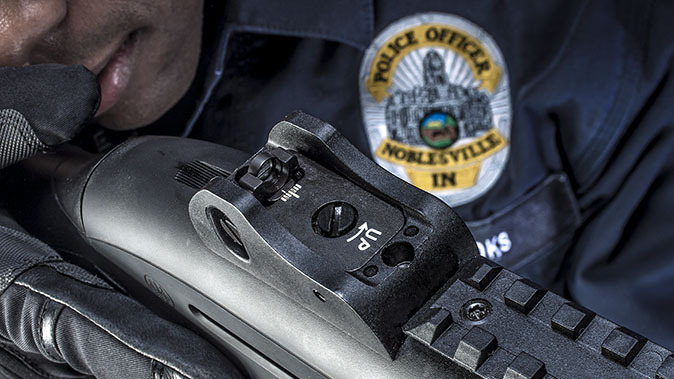 The tactical sights are very robust and well protected, with a large white dot on the front sight post and two white dots on the fully adjustable ghost-ring rear. The sights can also be removed and replaced if you prefer a different sight picture or want to add tritium sights for low-light conditions, for example. A short 3-inch Picatinny rail system comes factory-installed on top of the receiver. This is well suited for a small red-dot sight. The standard factory stock is very comfortable and well designed. The long polymer forend allows the barrel to sit low for a better grip and features aggressive checkering while remaining thin and comfortable. The polymer stock has matching aggressive checkering for a firm grip, and it’s also adjustable for length of pull. It comes with a very short 13.5-inch length of pull as standard to keep the shotgun very compact. Indeed, the overall length is nearly an inch and a half less than my Remington 870 with an 18-inch barrel. At the Beretta Tactical Summit, nearly a dozen of us tested the 1301 Tactical in an all-day session firing a mix of slugs, buckshot and birdshot. The gun proved very easy to handle while being lightweight, but thanks to the gas system, the recoil was extremely manageable even with slugs. I did not experience any malfunctions, even after firing over 300 rounds. A couple of the other shooters had minor issues, but these were fixed by adding some lube to the action. While Beretta has done a commendable job of making the 1301 very tactical, it isn’t quite tactical enough for me. 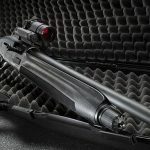 It’s not the company’s fault, as it must make the shotgun so it can still be imported, and the sporting gun restrictions make a more tactical shotgun difficult if not impossible to bring into the U.S. Thankfully, there are plenty of aftermarket parts for the 1301. I contacted Mesa Tactical to set me up with the works. With limited ammunition capacity, you want to be able to access extra rounds fast, and there is no better option available today than a side-mounted shell carrier. 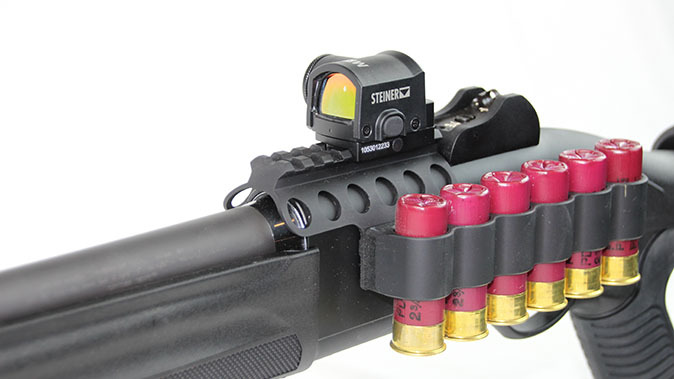 Mesa offers an excellent and durable carrier for this shotgun: the SureShell Aluminum Carrier and Rail. This hardcoat anodized 6061-T6 aluminum unit is extremely durable to take plenty of abuse. The left-side shell holder carries six spare rounds of ammunition, although four- and eight-round versions are also available. 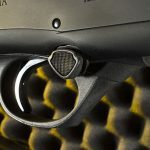 The standard Beretta 1301 Tactical stock is functional and comfortable, but Mesa Tactical’s Urbino Pistol Grip Stock not only looks cooler but offers several distinct advantages as well. The injection-molded nylon stock is extremely durable with a short length of pull at 12.5 inches. This allows for comfortable use with body armor or heavy clothing. The pistol grip features soft rubber overmolding that offers a very secure purchase and helps tame recoil. However, it is the optional LimbSaver buttpad that really absorbs even the heaviest recoil while helping to keep the stock firmly on the shoulder. 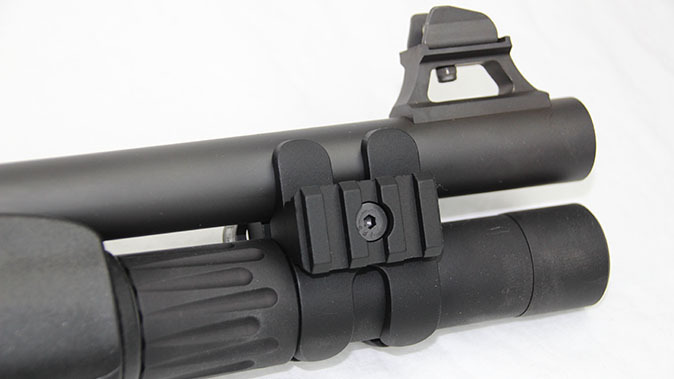 The stock also features an optional cheek riser for taller optics and several different sling attachment options. 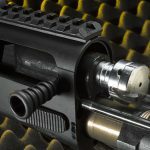 The five-round magazine capacity was still an issue for a truly tactical shotgun, so I installed a two-round magazine extension from Nordic Components. The all-metal MXT extension kit increased the 1301’s magazine capacity to a full seven rounds, ending flush with the front of the barrel. 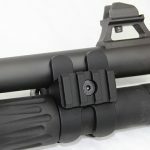 The kit includes an exclusive barrel clamp for increased rigidity, with a Picatinny rail on one side for accessories such as lights and lasers and a QD sling swivel point on the other. Lastly, I topped the Beretta 1301 Tactical with the appropriately small and effective Steiner Micro Reflex Sight (MRS). This sight features a fully adjustable 3-MOA dot, automatic and manual brightness controls, and a tough hardcoat anodized aluminum housing. The MRS is water- and shockproof to 10 meters and runs for 550 hours on a single battery. For extended battery life, the MRS also features an auto-off feature, shutting the unit off after eight hours. Over several days of testing at my home range, the Beretta 1301 Tactical functioned flawlessly using a mix of birdshot, buckshot and slugs. The recoil, even using slugs, was extremely manageable. The semi-auto action and LimbSaver recoil pad help a lot in this regard. The shotgun also had very little muzzle rise, so fast follow-up shots were easily accomplished. 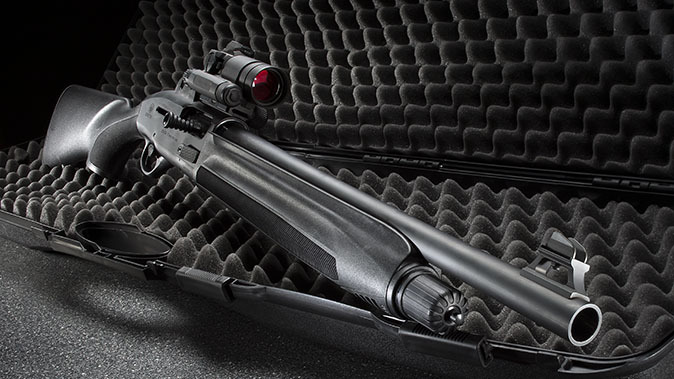 The Mesa Tactical Urbino stock significantly improved the shotgun’s ease of handling and controllability. To test the shotgun’s patterning capabilities, I used my favorite defensive load, Federal’s 00 buckshot Personal Defense rounds. From 15 yards, I fired 10 of these rounds off-hand. My patterns ranged from 2 to 4 inches with an average of 2.85 inches. This is very tight patterning for a home-defense shotgun. I also tested the Beretta l using Hornady FTX Lite slugs, yielding a center-mass group of 4 inches. 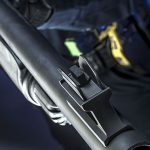 There is no question that the tactical shotgun has reached a new zenith in the Beretta 1301 Tactical, especially when combined with upgrades from Mesa Tactical and Nordic Components. 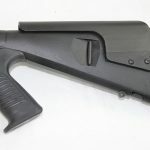 The way in which this shotgun absorbs recoil and handles, even for smaller shooters, makes it ideal for home defense with most any family member. 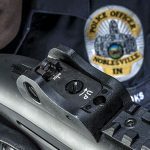 The reliable action removes the likelihood of a user short-stroking the action—something common with pump actions in stressful situations—and provides for lightning-fast shooting against multiple targets. *Buckshot pattern in inches for 10 shots at 15 yards. Slug accuracy in inches for best five-shot group at 25 yards. This article was originally published in the February/March 2018 issue of “Tactical Weapons.” To order a copy and subscribe, visit outdoorgroupstore.com.